It is pitch black. You, and your e-reader, are likely to be eaten by a grue. 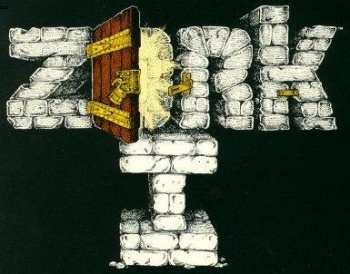 Photorealistic graphics and voice acting were still years away when the text adventure Zork was first released, but as anyone who played it knows, it was a fiendishly tricky little game, as were its multiple sequels. But being all text means that it doesn't need particularly powerful hardware to play it, and an ingenious fan has put a special Kindle friendly website together, so you can play it on your e-reader wherever you are. A Hawaiian coder known as "Planet Surfer" has made the first three Zork games available on his website, Portable Quest. The site is pretty austere, unsurprising for something designed with e-readers in mind, but it works just fine in a regular browser too. Surfer says that he has plans to release more text adventure games on the site in the future, and with Infocom - the developer of Zork - releasing dozens of text adventures games over the years, including my personal favorite Nord and Bert Couldn't Make Head or Tail of It, Surfer has plenty to choose from. If you want to take a trip down memory lane, or perhaps delve into a piece of gaming history, jumping into a brain-taxing text adventure isn't a bad to start. Be warned though, even if you avoid the grue, these things eat up time like you wouldn't believe.